This gorgeous girl has overcome amazing odds, her strength of character shines out of this image. 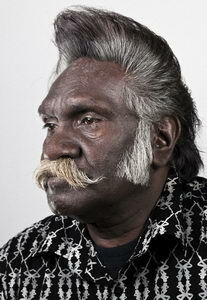 Gnarnayarrahe Inmurry Waitairie is an Aboriginal elder originally from Roebourne, Western Australia. His name means 'A little blue joey, born beside a spring in the Dreamtime'. Taken away from his parents at the age of four, he was placed in a Church of Christ Home and renamed Trevor Phillips by missionaries, from which he escaped and was recaptured numerous times. Upon arrival in Melbourne, one of Gnarnayarrahe's dreams was "to be an Aboriginal person who never loses his identity". A performing artist, he also goes by the title of Black Elvis. 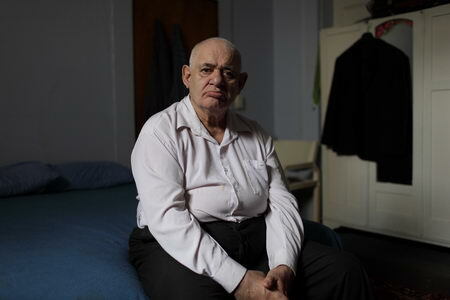 Brian lives in a single room in a Surry Hills boarding House. 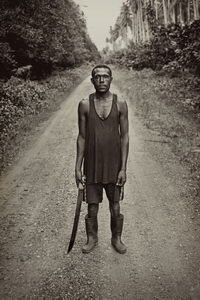 Cutting cocoa bean is hard work and Ezekiel is pictured here on a remote plantation on the island of Rabaul PNG. Daily life in Rawalpindi, Pakistan. 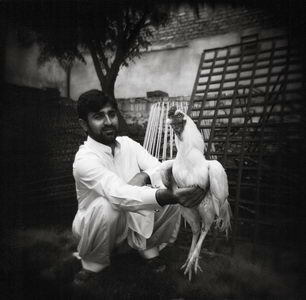 Cockfighting in Pakistan is highly lucrative gambling but is forbidden in the whole country. 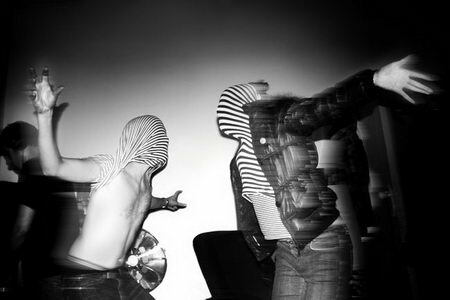 Some bird owner pose covering their faces while other do not mind showing who they are regardless or eventual retributions by local authorities. 'Death is all around' is a triptych of self-portraits, and deals with the grief that follows the loss of a loved one. The work gives a sense of what once surrounded me â€“ the suffocating omnipresence of death, the constancy of loss. It is grainy. It lacks luster, shine and definition. It mirrors the lifeless quality that life can unexpectedly adopt. 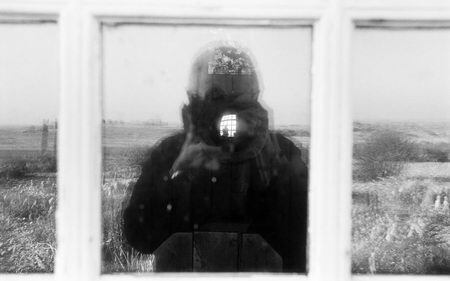 Shot through a black-covered lens, it is overcast by the traditional hue of mourning. It mirrors vision through a mourning veil, that also serves as a metaphor for the distance between the inner traumatised self and the outer world. 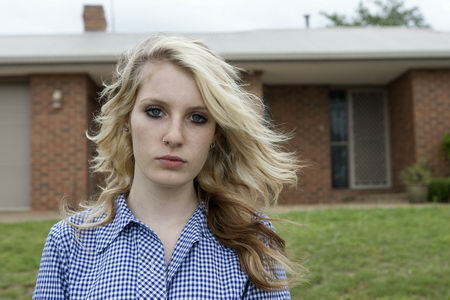 This is a photograph of fifteen year old Teri, in front of her home. Her childhood in the past and adulthood in the future. A time when friends and peers are very important, when you just want to fit in and be accepted by them. A time trying to establish one's identity. I wonder about her future. 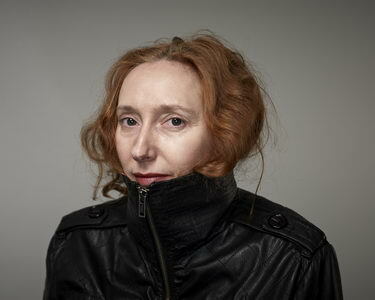 This portrait of writer, performer and all-round Renaissance woman, Fiona Scott-Norman, evokes iconic Elizabethan portraits but hopes to disrupt the predictable iconography with an unexpected, and arresting, otherworldliness. First Shiner questions what rituals exist now to mark the way from childhood to adulthood. Are acts of violence and scars still seen as the evidence of a rite of passage into manhood? 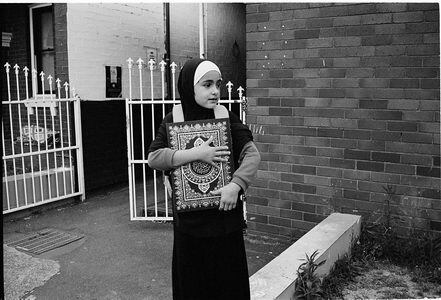 A young girl waits outside Omar Mosque in Auburn holding a Quran. Open to interpretation. Title and image. The "House of Love" still remains in Melbourne, Richmond. Currently an old share house that has decades of stores that will never be shared unless through documentation. I have to wonder how many families, students, homeless bohemians, travelers, quick encounters and friends have been made as a result of this charismatic old mansion. This was just one night. 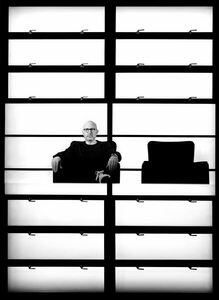 Australian architect, Ian Moore encapsulating his minimalist style. Travelling through the only 'desert' in the UK, I came upon the late Derek Jarman's house in Dungeness. It sits within sight of two nuclear reactors and is well known for its garden made of stones and industrial waste. I met Lenny at this year's Elvis Festival in Parkes, NSW. 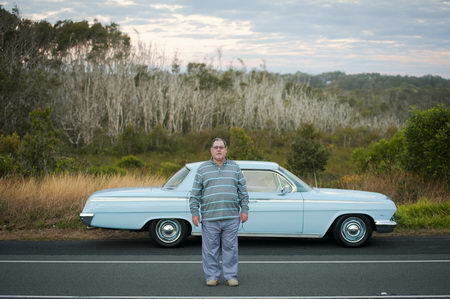 He lives with his family in country NSW and performs as an aboriginal Elvis tribute artist. 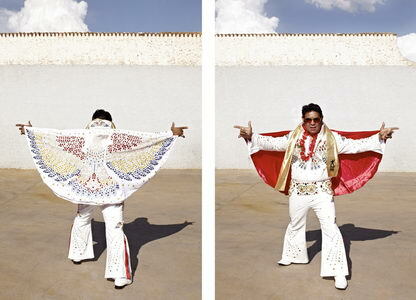 I was photographing Elvis fans and after shooting an Indian Elvis version a guy tapped me on the shoulder. He said: "If you want to photograph a different Elvis, I have someone for you." Lenny's brother, his 8 year old red head and white skin foster child and me waited on a bench in the park while Lenny got changed into his Elvis outfit in the public toilets. Lenny is quite shy and a little disappointed, as he couldn't get a gig on stage at this year's festival. He explains to me that he calls himself "In the shadow of The King" because of his skin color. Lenny posed proud in his bright white Las Vegas suit and rewarded me with his golden sache for taking time to photograph him. I hope to see him on stage next year, Parkes? Sisters Ingrid and Eva were photographed as part of 'The Bus Stop Project', a series of â€˜exposingâ€™ portraits taken in the early morning's in the winter months of 2011 at the bus stop in Hunter Street Newcastle. This work was exhibited in late 2011 as large scale posters in the back streets of Newcastle. 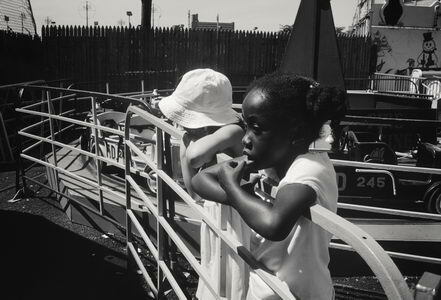 Image taken from a project observing young teens social attitudes and development in the current environment of technology and social media. Hot, bothered and watching a tiny television while waiting for a plane at Mombassa airport, I was fascinated to discover blind and visually impaired children playing soccer in Thika, I knew I had to visit their school. While the deputy principal was gathering some children to photograph, I noticed this young girl (Teresa) who was blindly fumbling her way from one side of the school yard to the other. I asked the deputy if Teresa could join us and I was told it wasn't possible. Her family couldn't afford the school fees and her mother was currently being told by the principle to take her home today. The deputy went on and said that without continued education at her age, Teresa would get left behind and struggle to integrate and engage with society. I thought back to my own childhood and how at Teresa's age I didn't have a care in the world. I couldn't let Teresa go home that day so I paid for her tuition for the rest of the year. 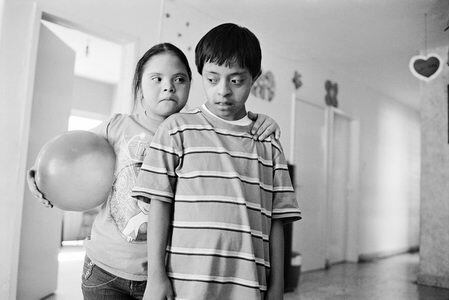 It wasn't a lot of money and that small gesture will give young Teresa some hope to live a more normal independent life. I now have myself an unexpected sponsor child and will continue to pay for her education. Lina (pictured) is fortunate enough to have better vision than most of her peers at the school, and I noticed her proudly guiding other children to their classrooms. 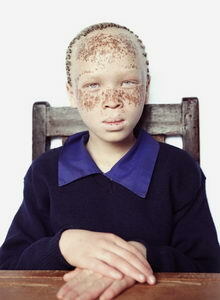 The "Thika" series aims at brining awareness to the struggles some children endure on a daily basis. 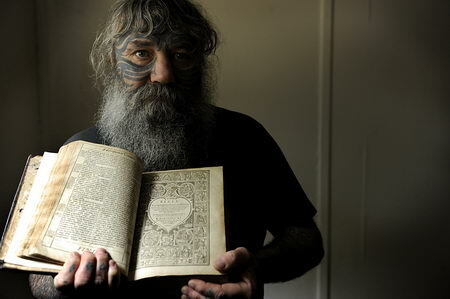 Mick Sharpen`s life has been a tragedy from the beginning, this man was obsessed with tattoos, it started in primary school and continued thru most of his life. He took the life of another person and in prison his tattoos continued, in 1981 his mate asked him when he was going to do his face. Mick demanded his mate tattoo his face then and there. Originally Mick was very reluctant to be photographed but eventually he thought some good might come of this published image of his face. Now he has found some peace with God and has helped some local `at risk` kids he wanted people in the community to see him for good and bad, this picture was his way of doing that. I approached this assignment with cautious excitement, it was always possible Mick would refuse to be photographed at the last minute. We talked about life and drank his herbal tea for over an hour before I again respectfully asked him could I start taking his photograph. I only used available light and this suited the low- key approach to this assignment and we continued to talk as I quietly took his image. I could sense he was very unsure about this but within a few minutes he relaxed more and I believe at the end of the brief shoot he had enjoyed the experience. This image was a result of a total package, connection with the subject, non judgemental respect, calm reassurance, sharing a conversation and cuppa and in the end a brief photographic exchange. 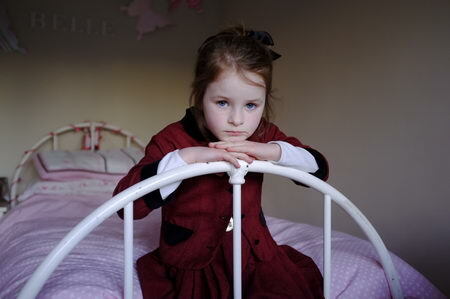 This portrait of my niece Millie captures her melancholic mood, a mood which can be attributed to her grieving process. 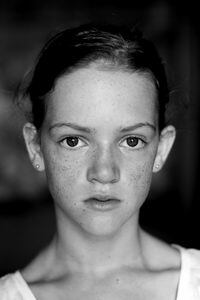 Millie the youngest of four children lost her father to a sudden heart attack 2 years ago. Millie can be happy with smiles one minute, then remembering her loss calls out "I want my dad!" Death is an inescapable part of life. A candid portrait of a satisfied lady enjoying retirement on her terms.